The Japan Shippo Conference, NPO. Juried Exhibition si terrà presso The Ueno Royal Museum, Tokyo, Giappone, da 8-14. aprile. 2015. The Japan Shippo Conference, NPO. Juried Exhibition will be held at The Ueno Royal Museum, Tokyo, JAPAN, from April 8th to 14th, 2015. Deadline Final is February 2, 2015 : Entry works should arrive to the organizer. Selection from the actual pieces will take place during March. Come gli anni precedenti, Il C.K.I. effettuerà alcune dimostrazioni di smaltatura -! The C.K.I. will also give some Enameling demonstrations -! ** Regolamento e informazioni in inglese, si possono trovare sul sito ( PDF ). *** Deadline for registration : August 31, 2014. October 26 - November 30, 2014.
: Juried Exhibition. The theme is " BLUE "
For further information, the Entry form, please see a PDF . Questo anno, sono in programma due seminari con artisti di fama internazionale. tecnica mista dalla miniatura al traslucido su foglia d'argento. 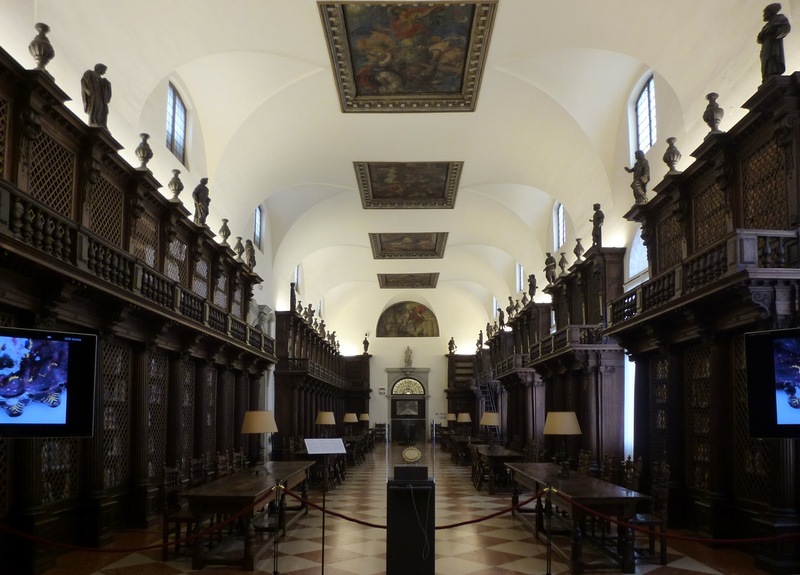 Per vedere alcune delle sue opere di seguito il sito ( PDF) del C.K.I. * Seminario di Gillie Hoyte Bayrom, Inglese, pluri-premiata miniaturista. Per vedere alcune delle sue opere di seguito il suo sito. ** Per ulteriori informazioni sul C.K.I. Italia , visitate il loro sito-web ufficiale. 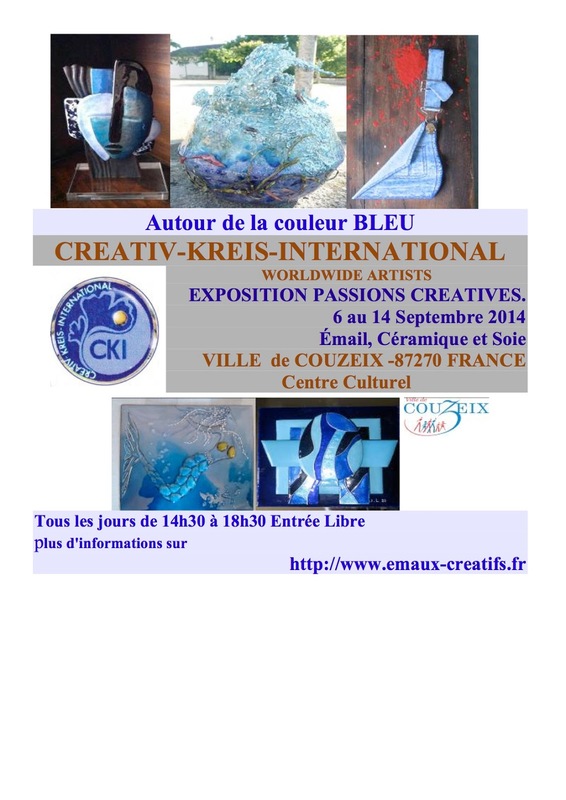 The Creativ-Kreis-International. 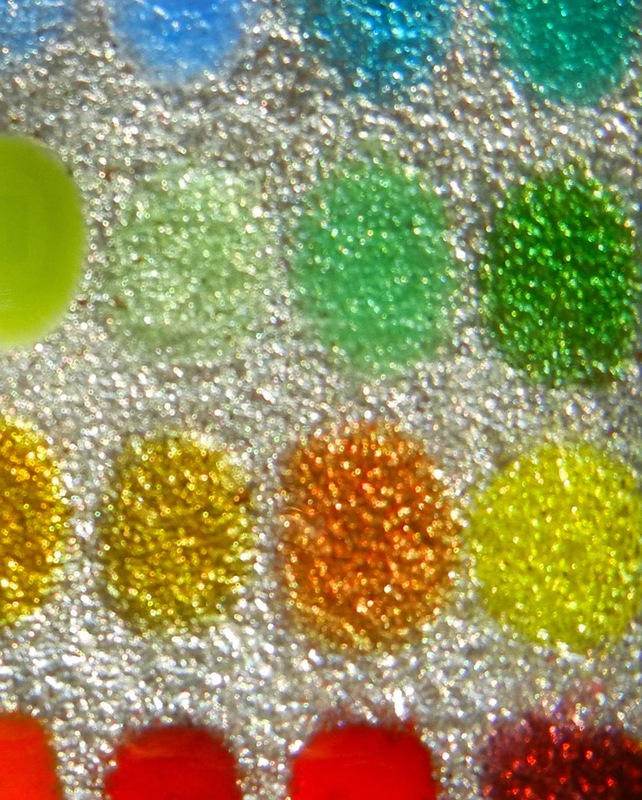 Italy organize workshops on enamel techniques. on 24 - 28 March 2014. You can view some of her work at the C.K.I. 's website (PDF). See some of her work at her website -! ** For more information about The C.K.I. Italy, please visit their official website. L'iscrizione annuale 2014 del C.K.I. Italia è aperta entro (verso) la fine di febbraio 2014.
" Il Creativ Kreis International (C.K.I.) è un circolo artistico-culturale NO PROFIT con sede in Germania a Deidesheim. Dal 1966 (1979 ufficialmente) propone iniziative con l'intento di promuovere e diffondere lo smalto a fuoco come mezzo artistico e di favorire scambi culturali e umanitari fra artisti smaltatori (e non solo), di tutto il mondo. " C.K.I. organizza tanti eventi interessanti -! 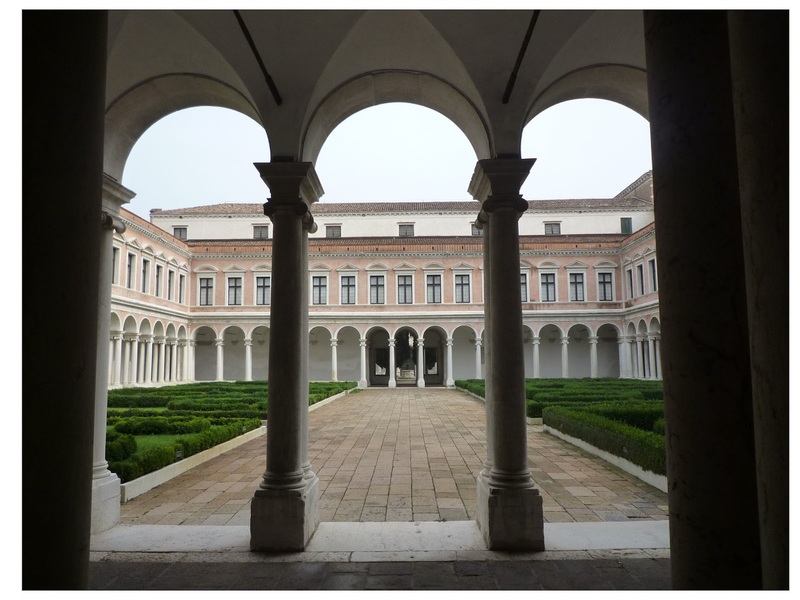 : Esposizioni di smalto a fuoco, Seminari di specializzazione sulle tecniche di smaltatura, Visite guidate, ecc. Per ulteriori informazioni sul C.K.I. Italia , visitate il loro sito-web ufficiale. 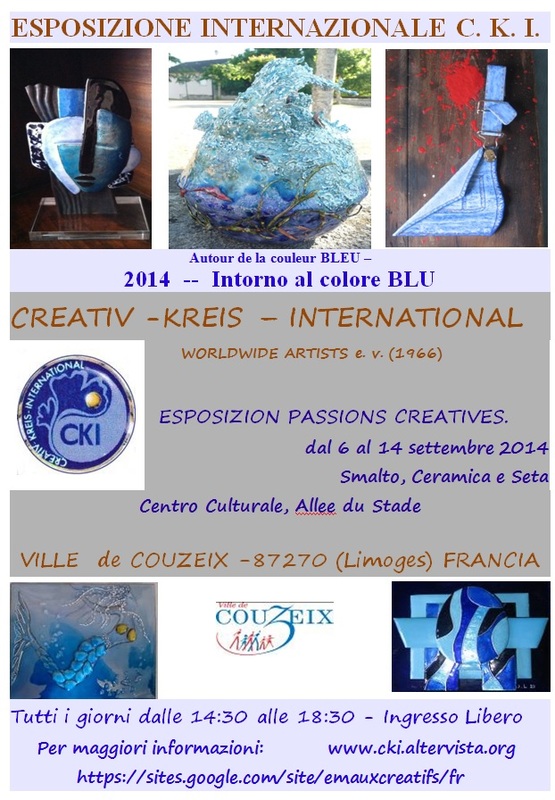 2014 annual membership subscription for Creativ Kreis International Italia (C.K.I. 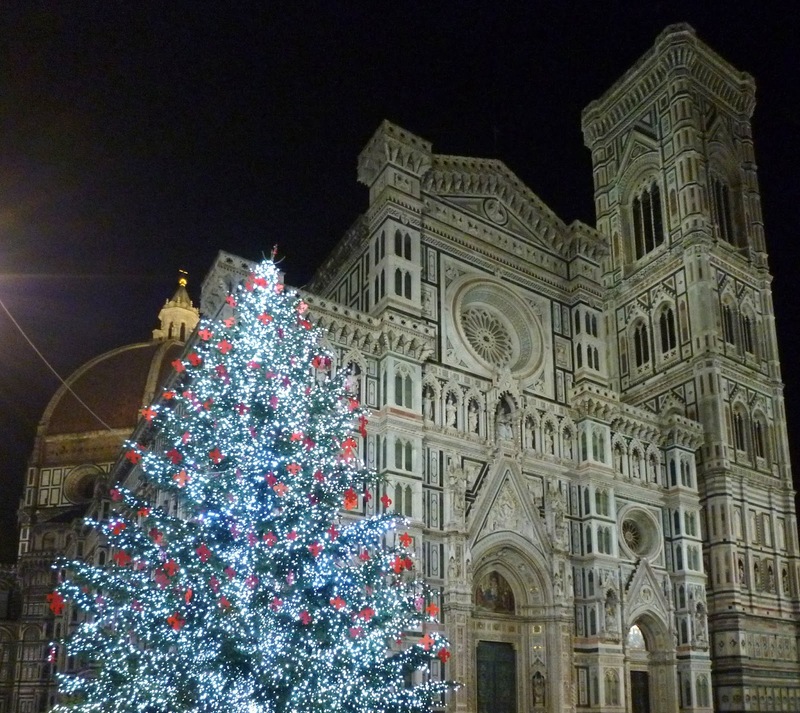 Italy) is due by the end of February 2014. The C.K.I. organize many interesting events -! : Exhibitions of Vitreous enamel, Workshops on enamel techniques, Guided tours, etc..
For more information about The C.K.I. Italy, please see their official website. The Japan Shippo Conference, NPO. Juried Exhibition si terrà presso the Ueno Royal Museum, Tokyo, Giappone, da 8-14. aprile. 2014. The Japan Shippo Conference, NPO. Juried Exhibition will be held at the Ueno Royal Museum, Tokyo, JAPAN, from April 8 to 14, 2014. 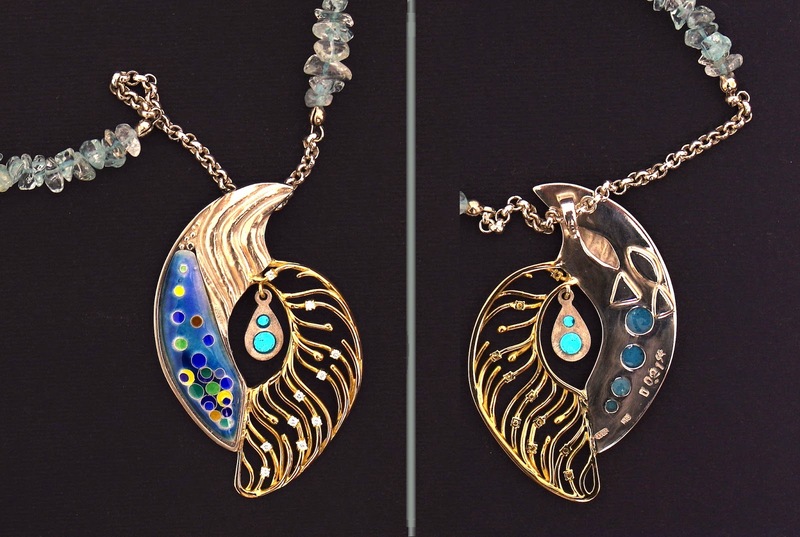 Each artist can submit up to five entries of jewelry such as enameled Brooch, Neclace, Pendant, Ring or Earrings (not objects). 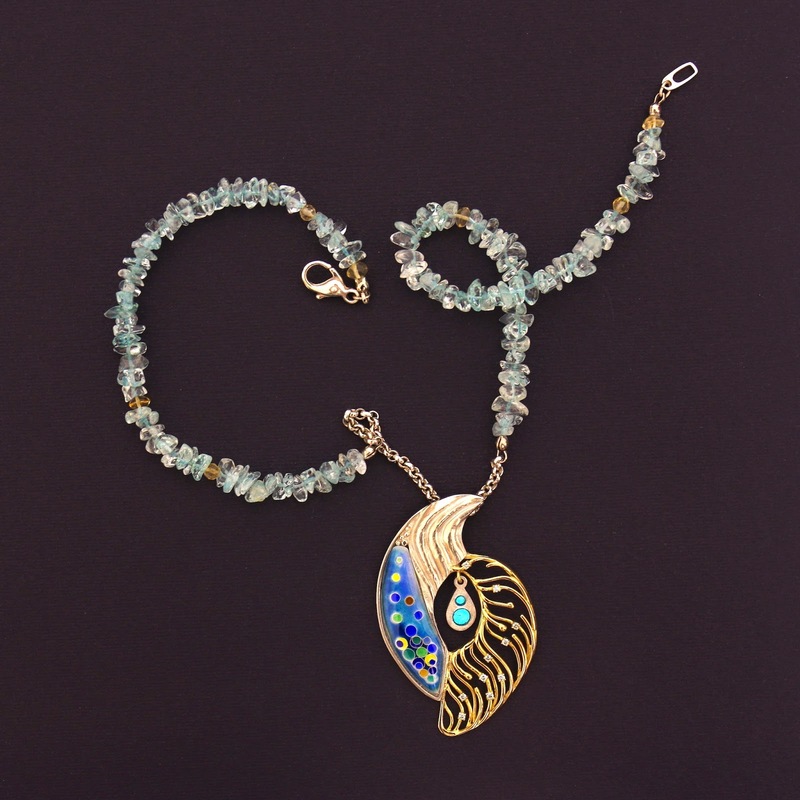 Any type of enamel jewelry, not just cloisonné, is eligible. The submission deadline is February 10th, 2014 and selection from the actual pieces will take place during March. Happy and Colorful New Year - ! Buon Anno a tutti voi - !